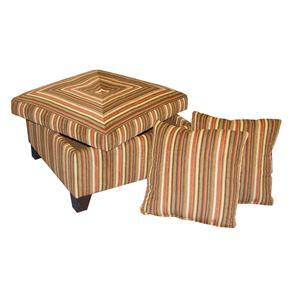 This casual ottoman is an easy and helpful addition to your living space. It square shape does not take up much room, though its storage capabilities are extremely useful. The top is easily removed, and you can store small items inside. 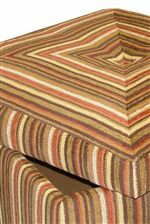 Use this ottoman as an extra seat or a footrest when you need it, otherwise it can double as extra display space. Exposed wood block legs give it an extra element of design. 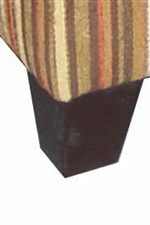 The 0601 Casual Storage Ottoman with Exposed Wood Block Feet by Jonathan Louis is available in the area from BigFurnitureWebsite.